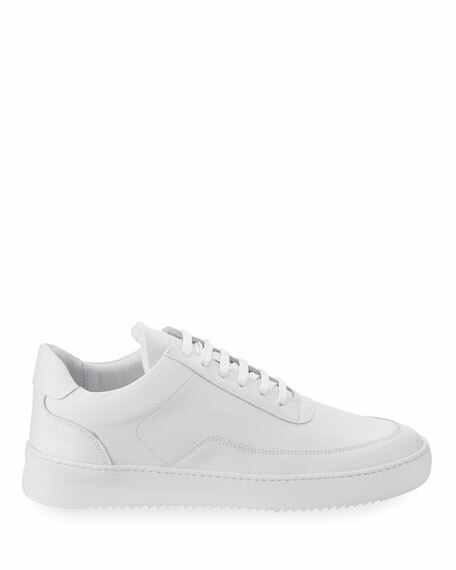 Filling Pieces leather low-top sneaker. 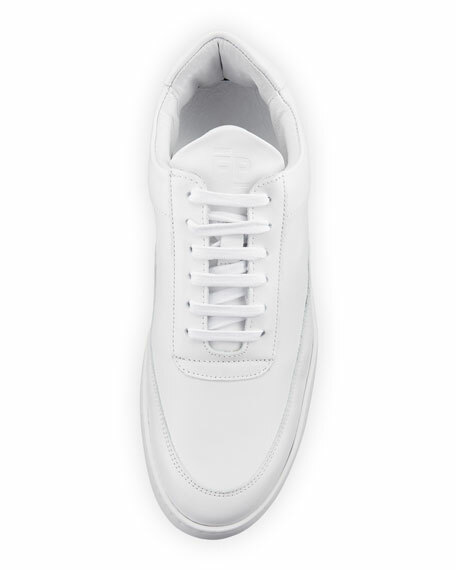 Bally low-top sneaker in smooth calf leather. Round toe with center seam detail. Lace-up front. Embroidered logo script at side. 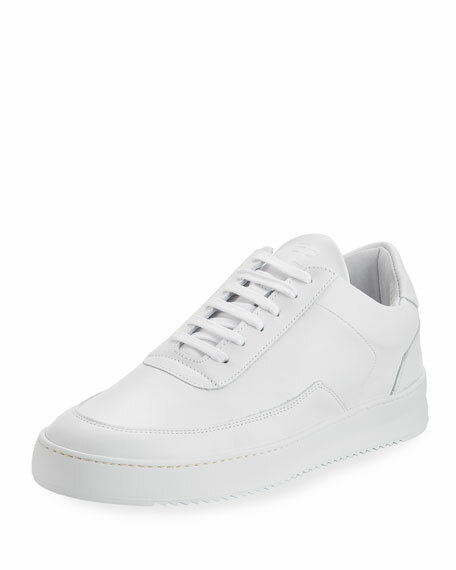 Giuseppe Zanotti low-top sneaker in suede, calf leather, and patent leather. Round toe. Lace-up front. Dual side zips. Metal detail at tongue. Dual side zips. Pull tab at back heel. Rubber outsole. Made in Italy.